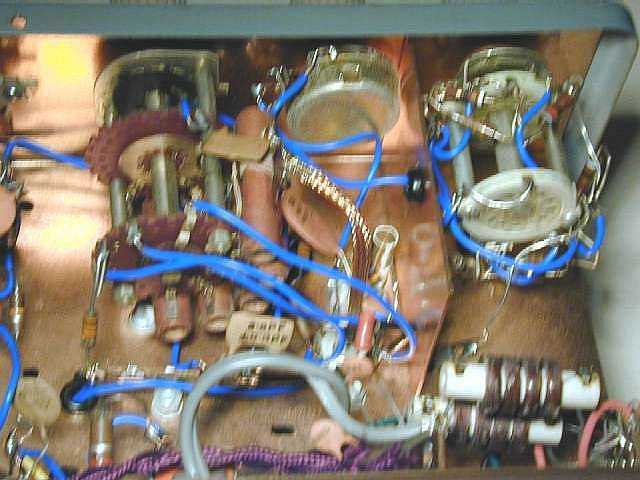 This is my late Father's Heathkit signal generator. It has a paper stuck over the dial and various frequency calibrations marked. I used this signal generator extensively when building my Spectrum Analyser. 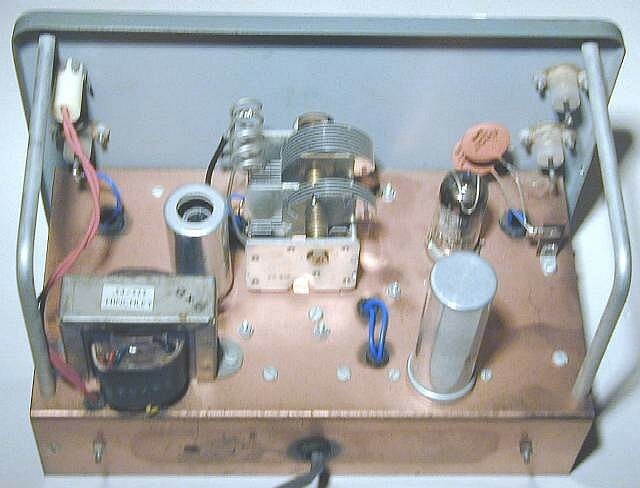 Below are some photographs of the signal generator. It is beautifully clean inside and well constructed. 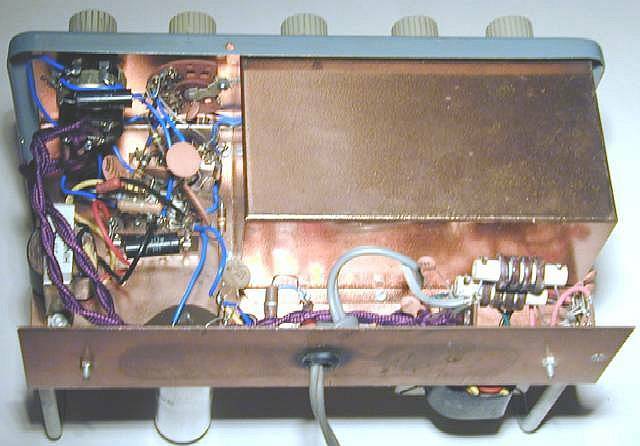 The under chassis photograph shows the extensive shielding around the oscillator section. 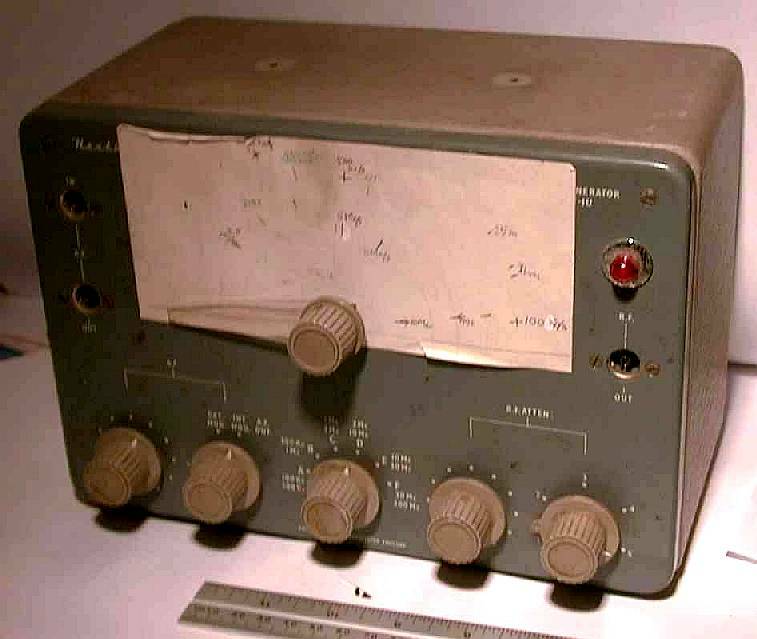 Here's a mostly-complete manual for the Heathkit signal generator. Click here to download it.